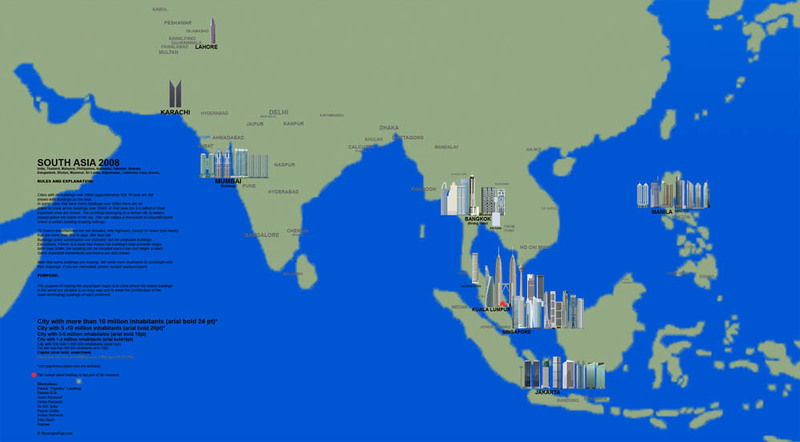 Skyscraper maps - the web's only! 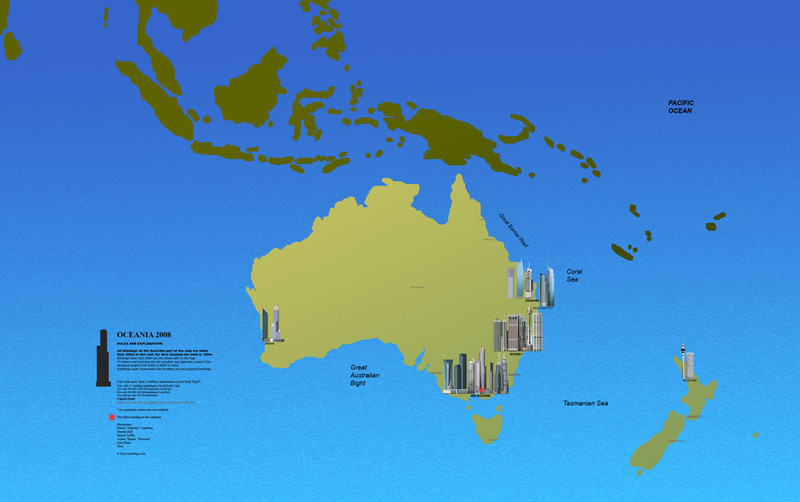 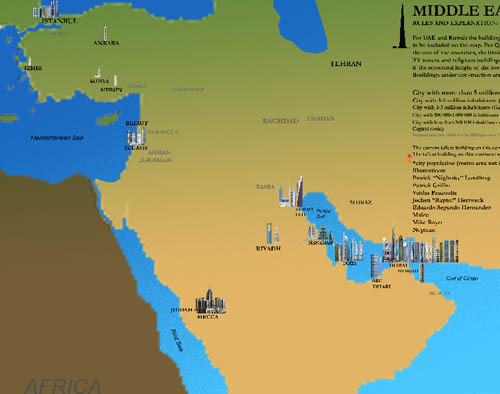 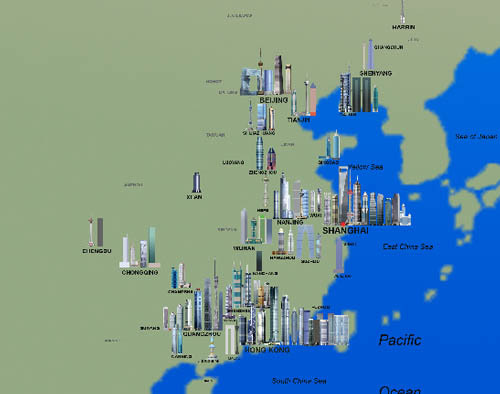 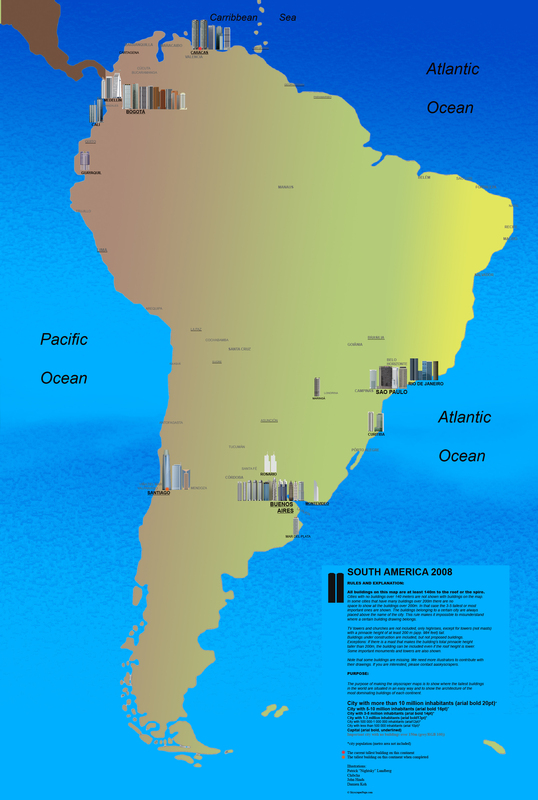 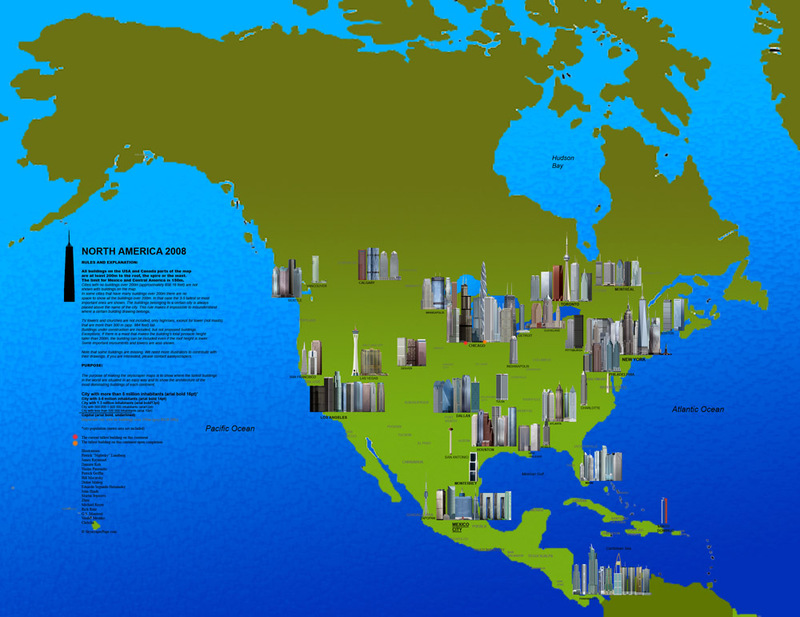 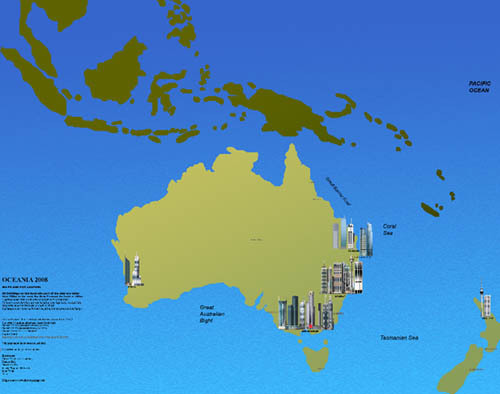 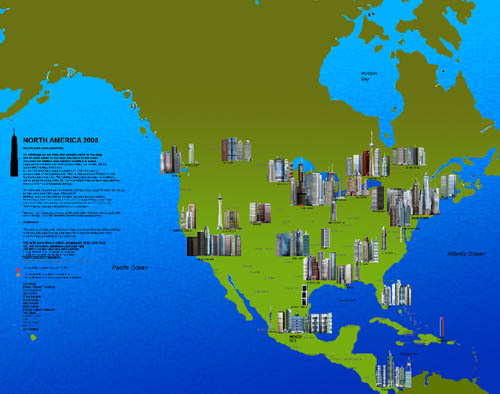 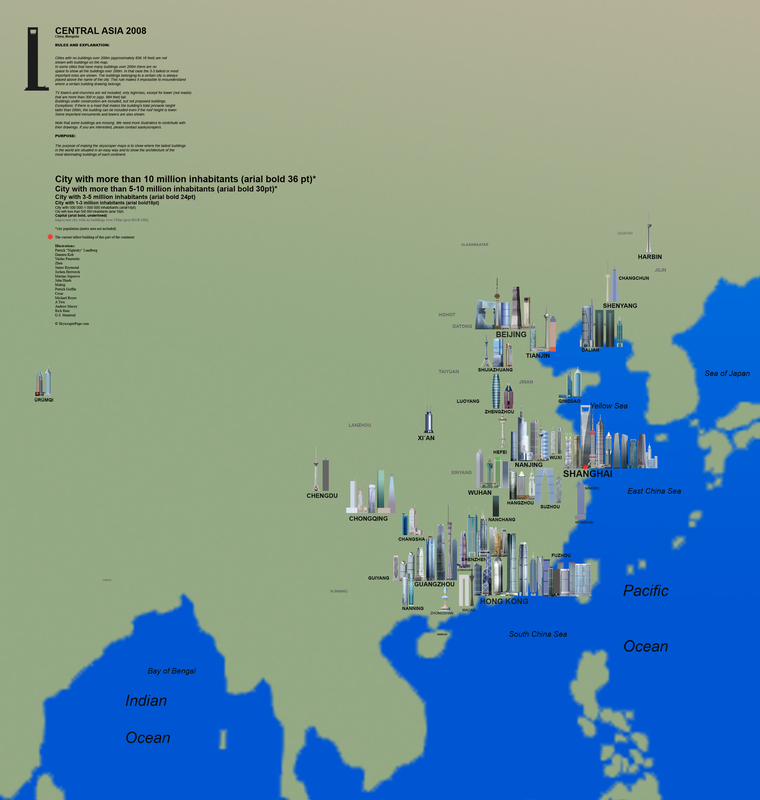 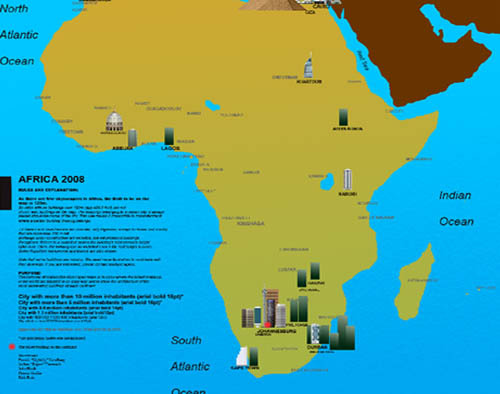 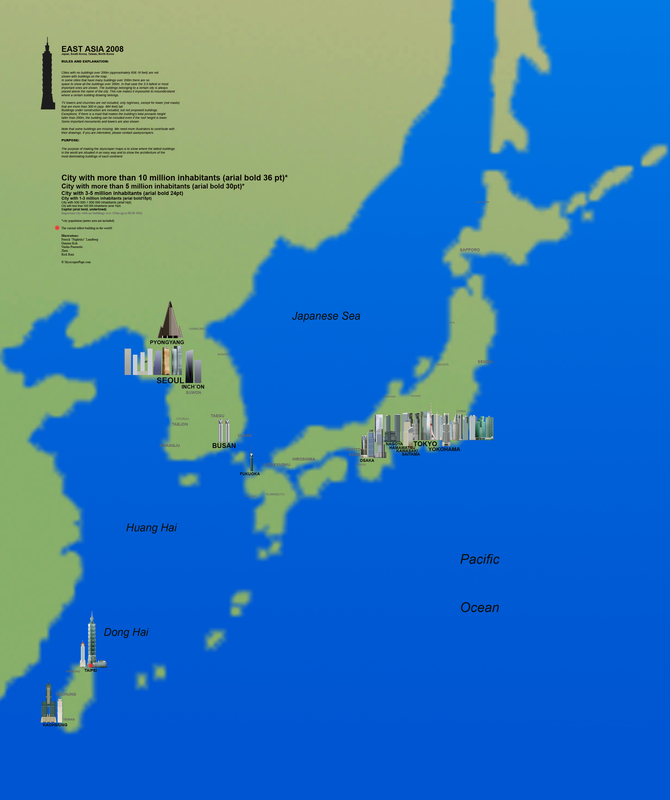 The purpose of making these maps is to show where the concentrations of tall buildings are in the world. 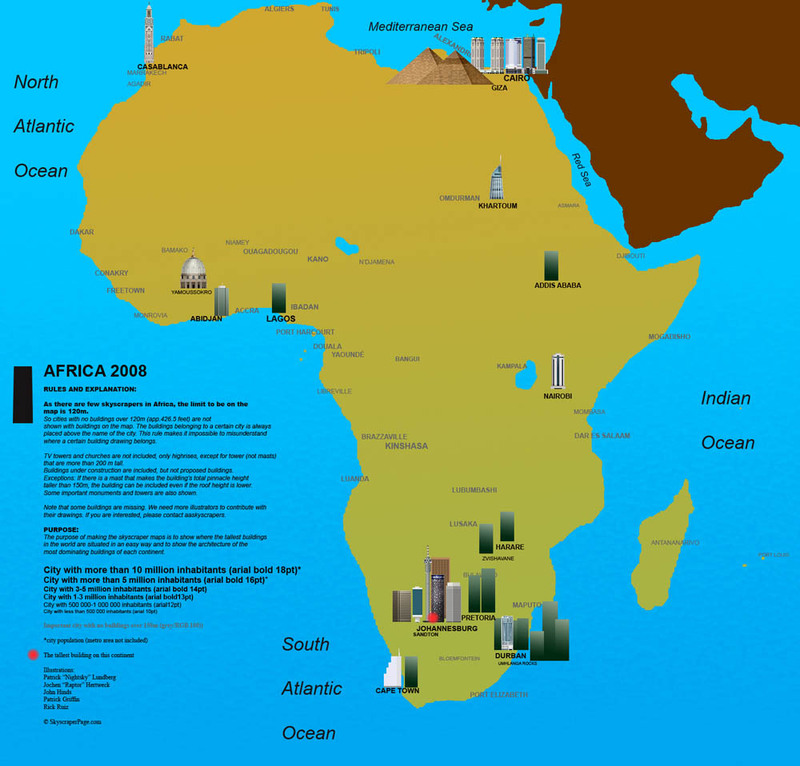 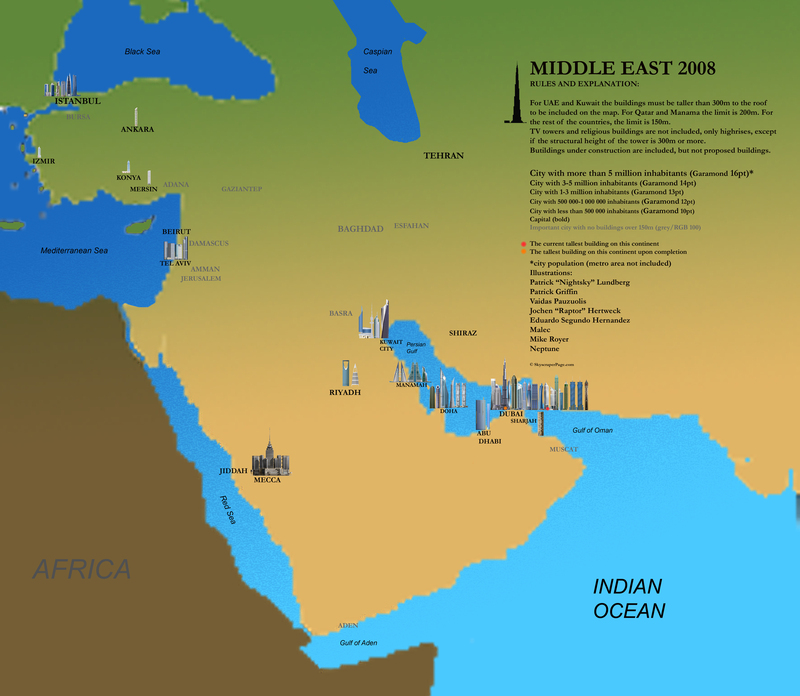 It is also easy to locate the tallest building of a continent or a city by looking at the maps. 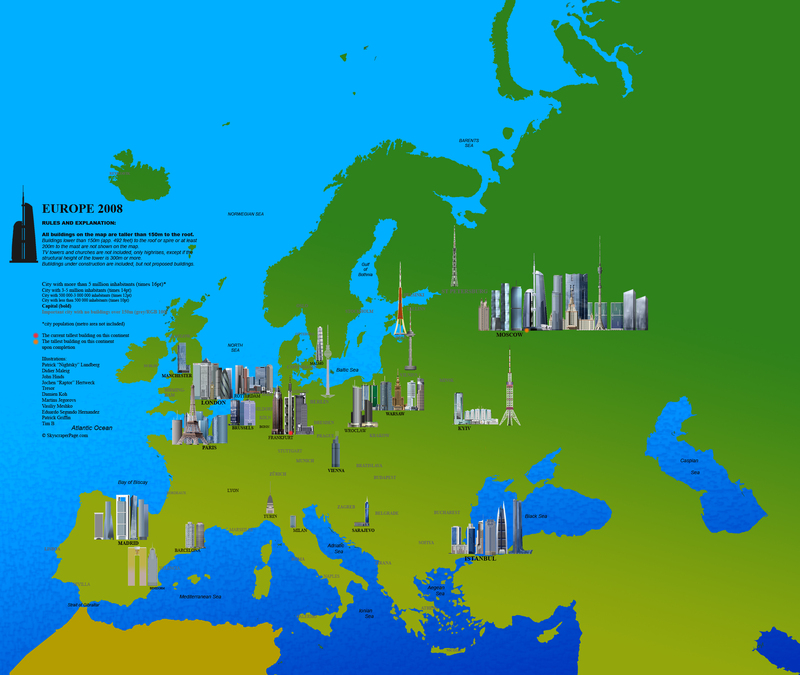 The scales are almost accurate between the buildings, so you can really compare the height of buildings in different countries, but of course not between the maps and the buildings. 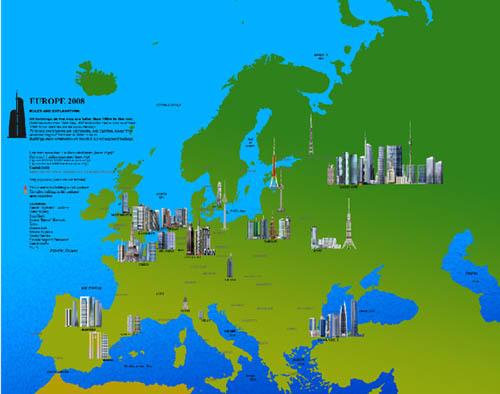 The maps are made by me, but the illustrations are copied from ©Skyscraperpage, with permission from its owners, and the names of the illustrators are presented under the maps. 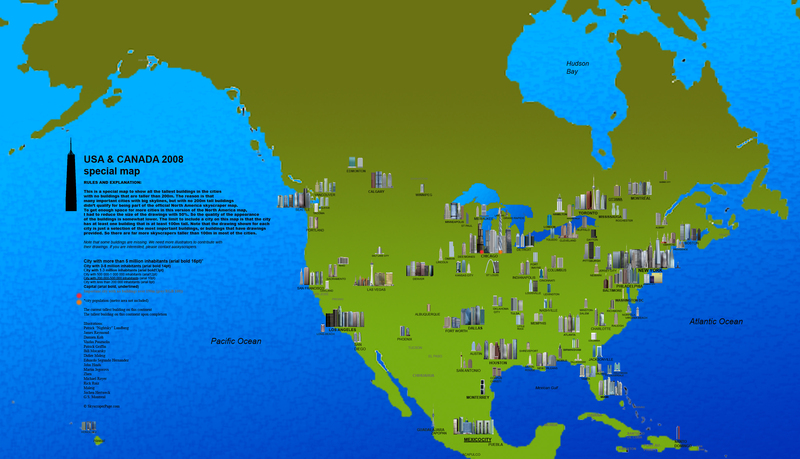 Many of the building illustrations are made by me, under the pseudonym Nightsky, though. 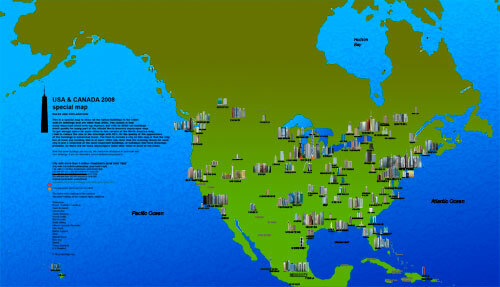 If you have any question or opinion, you can write in the guestbook. 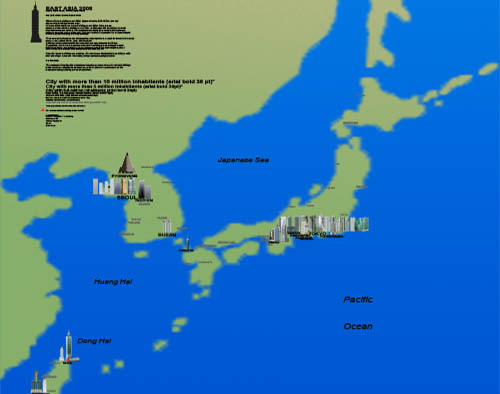 The rules for each region can be read to the left in each map. 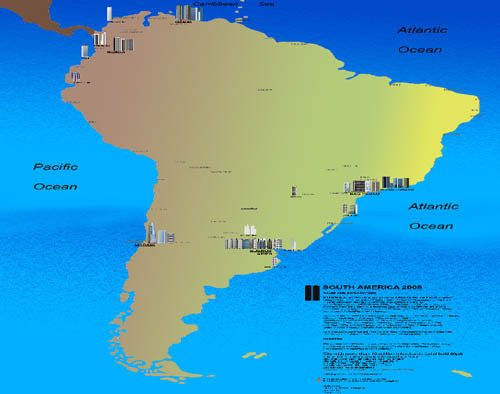 The reason that there are different rules for each region is simply because the sizes are so different, both between the structures and the geographic locations. 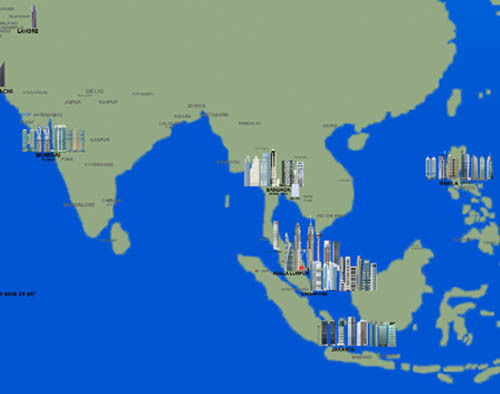 This is the only set of skyscraper maps on the web!